National Cybersecurity Awareness Month is commemorating its 15th year this October. 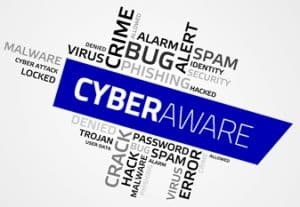 This nationwide effort is sponsored by the Department of Homeland Security to provide education about cyber threats and offer tips and best practices concerning how to stay safe online. The University of Mississippi Office of Information Technology remains committed to protecting information through the promotion of vigilance and collaboration among our community. We must work together to ensure everyone has the resources needed to stay safer and more secure online. Please review the essential security tips below for basic ways to protect your personal information, smart devices, and entire family against cyber threats. STOP/THINK/CONNECT: Everyone has a shared responsibility to stay safe online. Here is easy-to-follow, actionable advice for everyone. STOP: Make sure security measures are in place. THINK: There can be consequences for your actions and behaviors online. CONNECT: Enjoy the Internet. PAY ATTENTION TO THE WI-FI ROUTER IN YOUR HOME: Use a strong password to protect the device, keep it up to date, and name it in a way that won’t let people know it’s in your house. KNOW YOUR APPS: Be sure to review and understand the details of an app before downloading and installing it. Also, check to make sure the vendor or creator of the app is reputable. Be aware that apps may request access to your location and personal information. Delete any apps that you do not use regularly to increase your security. LOCK DOWN YOUR LOGIN: Fortify your online accounts by enabling the strongest authentication tools available, such as biometrics, security keys, or a unique one-time code through an app on your mobile device. Your usernames and passwords are not enough to protect key accounts like email, banking, and social media. For more information, see the UM IT Security website.